​Estate planning is a process that involves people—your family, other individuals and, in many cases, charitable organizations of your choice. It also involves your assets (your property) and the various forms of ownership and title that those assets may take. And, it addresses your future needs in case you ever become unable to care for yourself. 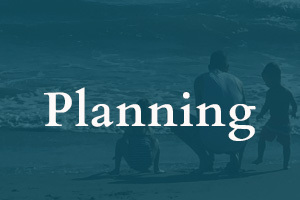 In our estate planning practice, we work one-on-one with you to design a custom-tailored estate plan that fits you and your family’s particular needs. The first step is to schedule a consultation during which we will learn about you, your family, your estate and, most importantly, your goals. Our intention for this initial meeting is to get to know you, help you to understand your options and the process, and hopefully, earn your trust. ﻿Probate is a court-supervised process for transferring a deceased person’s assets. If the deceased had a Will, then the probate process will distribute the assets to the beneficiaries listed in his or her will. If the deceased did not have a will, then the assets will be distributed according to state law. There are both advantages and disadvantages to probate. One advantage is that the probate court reviews the personal representative’s handling of each estate, which can help protect the beneficiaries’ interests. A disadvantage is that probates are public. Your estate plan and the value of your assets become a public record. Also, because lawyer’s fees and executor’s commissions are based on a statutory fee schedule, a probate may cost more than the management and distribution of a comparable estate under a living trust. Time can be a factor as well. A probate proceeding generally takes longer than the administration of a living trust. Proper estate planning before death, through the use of a revocable living trust, can eliminate the need for probate altogether. Whether you're ready to get started with your own estate planning or are beginning the probate process after a family loss, we're here to help. And if you simply have a few questions, we can help there too. 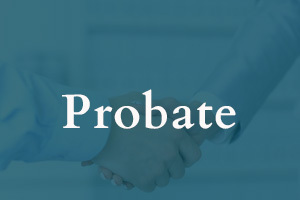 Probate is a court-supervised process for transferring a deceased person’s assets. With a revocable living trust (also known as a revocable inter vivos trust or grantor trust), your assets are put into the trust, administered for your benefit during your lifetime and transferred to your beneficiaries when you die. Trusts avoid probate with respect to those assets that are transferred into the trust before death. In other words, trusts avoid the court procedure otherwise required to transfer assets to a person's beneficiaries at death. However, even though no court procedure is involved, that does not mean there is nothing to do. 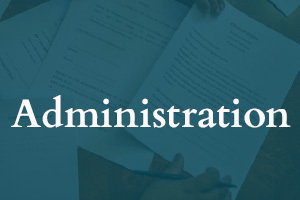 The trust makes administration easier, but it does not do away with administration altogether. In both probate and trust administration, assets need to be collected and managed, appraisals of assets have to be made. Additionally, debts and taxes have to be paid, tax returns may be required, and legal documents must be prepared in connection with the distribution of property to the beneficiaries. ​The major difference is that, with a trust, these tasks are generally handled privately, without court supervision, which makes for (in most cases) a faster, less expensive administration process. 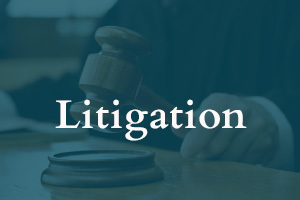 There are some circumstances that may arise in which there are questions about whether the Trustee should or should not take certain actions (e.g., selling a business interest or real property, commencing litigation). In such cases, it may be advisable for the Trustee to petition the court for instructions whether to proceed in a certain way. The beneficiaries will be given notice of the hearing and will be given a copy of the petition that describes the proposed action. The matter is then addressed in open court, and the beneficiaries have an opportunity to appear in court and be heard. By obtaining an order from the court in this manner, the Trustee may be able to cut off the beneficiary's right to complain about the particular action if he or she fails to appear in court. Such a petition protects the Trustee if there is a fear that the Trustee's decision will be second-guessed by a beneficiary. Also, if relations between the Trustee and the beneficiaries are hostile, it may be advisable for the Trustee to seek court approval of the Trustee's accountings to minimize potential arguments with the beneficiaries. One of the largest areas of trust litigation surrounds the trustee’s actions during the administration. If you are a trustee, you occupy a position of trust and confidence and it is imperative that you have competent counsel to guide you through the process. If you are a beneficiary, you should know that the trustee owes a duty of care to the beneficiaries. This office has experience litigating on behalf of trust beneficiaries, as well as defending trustees. We represent clients in a variety of trust actions, including trust contests, beneficiary claims, trust reformation, and accounting of trust finances. If you are a trustee, or a beneficiary, and need an attorney, we’re here to help.